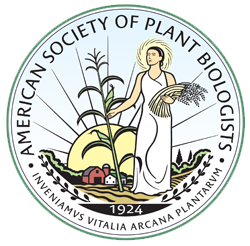 Founded in 1924, The American Society of Plant Biology promotes the growth and development of plant biology, encourages and published research in plant biology, and promotes the interests and growth of plant scientists in general. ASPB membership spans six continents, and the Society plays a key role in uniting the international plant science community. The Society also publishes Plant Physiology® and The Plant Cell journals, as well as Teaching Tools in Plant Biology. Teaching Tools in Plant Biology is an online feature included in a subscription to ASPB’s journals. The “tools” combine up-to-date peer-reviewed research-based content with flexible presentation components that can be used alone or integrated into lesson plans so that faculty can confidently present exciting topics in your classroom. The “tools” provide a short essay introducing each topic, PowerPoint slides, and suggested readings. Plant Physiology®, established in 1926, is one of the world’s oldest and most respected international plant science journals. Its impact factor places it among the top four plant science primary research journals, and it is the most frequently cited plant science journal, with nearly 77,000 citations in 2016. Its five-year impact factor is 7.428. The journal bridges basic plant science and other fields such as molecular evolution, functional genomics, proteomics, structural biology, and biotechnology. The Plant Cell In 1989, ASPB began publishing The Plant Cell to cover cutting-edge research of special significance, especially in the areas of cellular biology, molecular genetics, development, and evolution. Its five-year impact factor is 9.975. Want the latest news and updates from ASPB ? Stay connected!